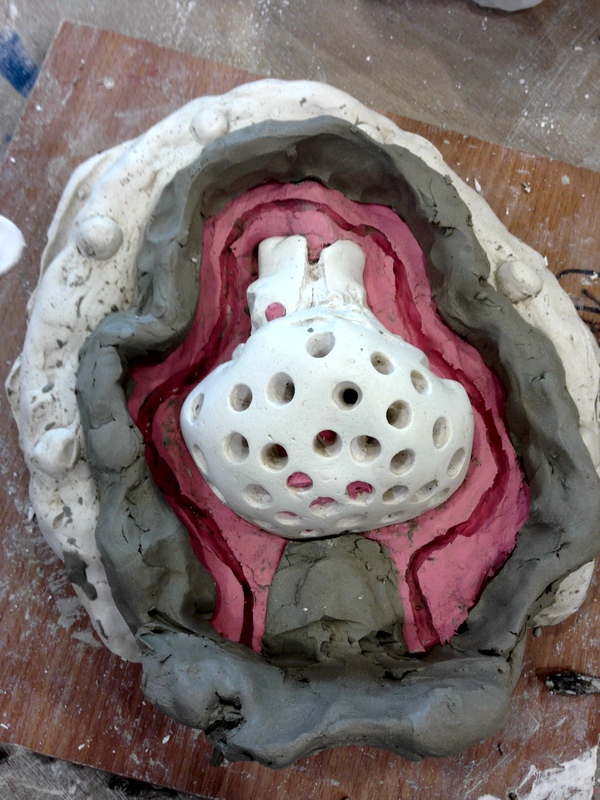 I am currently in the mould making stage of my cast glass creature project. 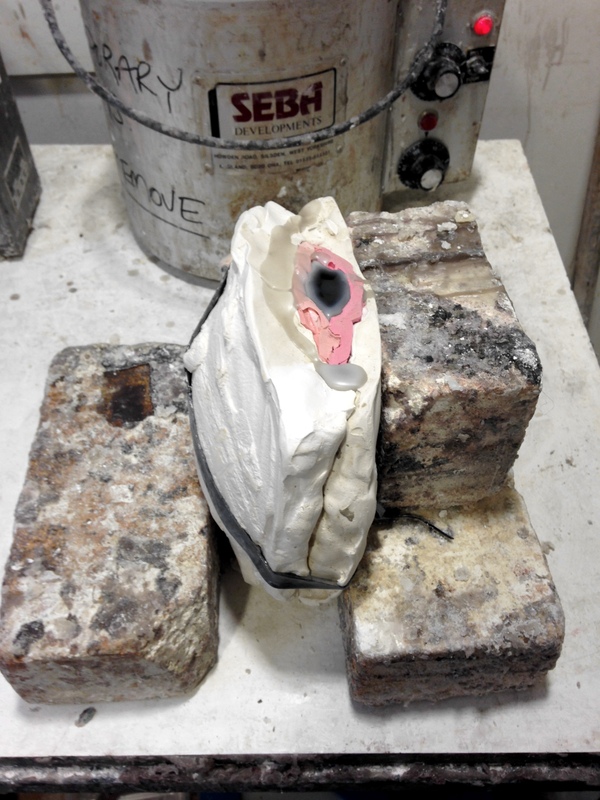 I pouring wax into the finished moulds to create wax versions of the plaster. As you can see from the photograph, I have had to cut my plaster model in half so that I can cast all the undercuts in wax.